Games2Jolly Small Fat Girl Rescue info about the game-Games2Rule. 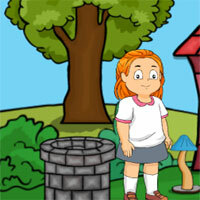 Small Fat Girl Rescue is a point and click escape game developed by Games2Jolly Team. Our beautiful girl was kidnapped by some gangsters who work for an evil businessman who is an enemy in business to her dad. The business controversy turned into a personal grudge and that's the reason for girl's kidnapping. She's locked in a small room.